It is very important to try and stimulate the centers of your face, temporarily improving the blood and lymph circulation of the skin which will help remove toxins and boost the skins immunity against bacteria. The facial massage will also brighten the skin and relax the skin around the eyes to reduce puffy eyes and drain dark circles. From experience I know that often people try without much success to cover baggy eyes and dark circles with just makeup. I think it is really important to try to reduce problem areas before camouflaging them with a heavy layer of makeup. 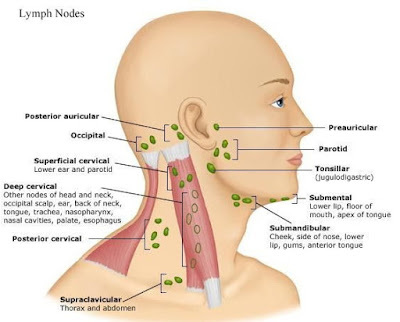 You have lymph nodes on your face near your ears and eyes. There is a chain of lymph nodes that reaches from the inner corners of your eyes to your nose. Around the bottom of your head there is a ring of nodes - the occipital nodes in back at the base of your skull, nodes under and behind your ears and nodes under your jaw line and chin. 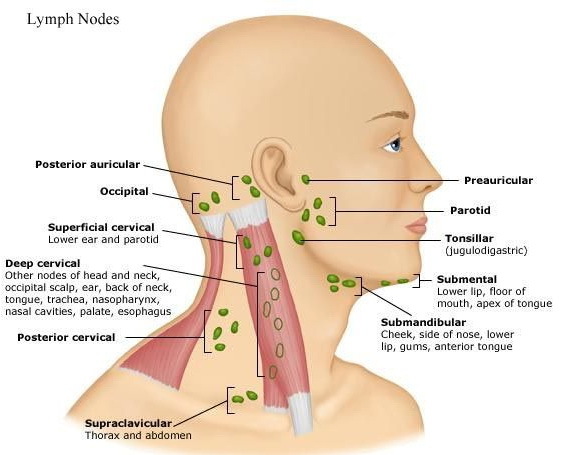 Lymph fluid that moves from your head into these nodes then drains into two chains of nodes on your neck, leading down toward the collar bone. Eventually lymph, once it has been processed in the lymph nodes, empties into blood vessels near your heart, to circulate around the body again. Working over blood vessels, bones and lymph nodes stimulates the right areas to really detox and rejuvenate the skin of the face. The pressure created by the massage technique helps move blood through congested areas, causing new blood to flow in. That boost in circulation is what gets you glowing, but other benefits include improved skin tone and muscle contouring; instant headache, neck-tension and stress relief; alleviating nervous disorders.By relaxing muscles and connective tissue, massaging the face softens expression-induced lines around your eyes, lips and brows, helps expel acne-causing toxins and depuffs and brightens the eye area. It also increases circulation, oxygenating the blood and encouraging the presence of fresh, healing red blood cells, and adds vitality to a dull complexion. Insert your new facial massage routine into your daily skincare regimen right after you cleanse but before using toner and moisturizer. I promise you will not be sorry! When your skin is inflamed after UV exposure When you have skin rashes .In areas with cuts, wounds. On parts of the skin with acne or boils (especially when inflamed or suppurating). Work in sections - forehead, cheeks, jaw, neck and always start with clean skin.With your fingertips and applying light pressure. Then move to the cheekbones and then on to the jaw. Finish by sweeping upwards along the jawline with the heels of your hands. Only a few minutes of facial exercise once a day will make a difference after one week. If you wake up with puffy skin, go for light tapping motions. This will stimulate the lymphatic system which lies just underneath the skin's surface and gets rid of excess fluid. Work towards your ears where the lymph nodes are located to flush it all out. For puffy eyes and dark circles, always stroke from inside of the eye socket outwards. If you do it the wrong way round (out to in) the other way can make eye bags even worse. Because so many of your lymph vessels are located right below your skin, use light pressure - just enough to move the skin without pressing more deeply. Massage the neck downwards to get rid of excess fluid being held there and not upwards. Use a light non-comedogenic calming oil, such as jojoba since its molecules most closely resemble your own skin’s sebum. If you are concerned about using oil on your skin, use your favorite moisturizer. Also, massaging an oil cleanser into your skin — instead of just rubbing it on and immediately rinsing it off — can increase its efficacy. 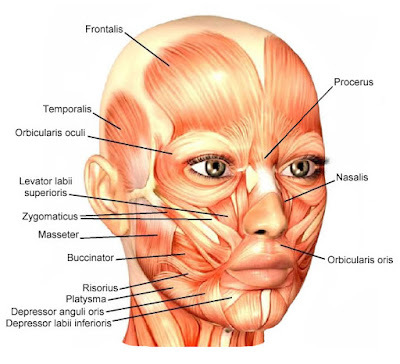 I don't think that facial massage is complicated, specially if you know how your facial muscles are positioned and where are positioned the lymph nodes. I hope you will try to implement some type of facial massage in your skin care routine because it is such a life changer on a lot of levels and it covers most of the skin concerns- puffy eyes, dark circles, swollen skin that retains water, acne, dull tired looking skin, fine lines and so much more. This is a very informative post. I never knew all these details about a facial massage. Just knew that it's very relaxing. Thanks for sharing. Love the detail in this article. I love getting face massages! You should get as many as you can!I am really happy that it was a useful post. As a person who was trained to do upward circles toward the back of the face, this is actually really informative. News to me! Literally, they tells us pulling down on the face leads to premature sagging and wrinkles. Some of it was also new to me, specially the lymphatic part. And just like you I had the same training with the upwards circles and the same wrong technique that never made any sense to me. When I stumbled upon this article , first I thought .. oh no , just another beauty products promoting meaningless post . No way , your article is a fantastic informative post with great tips and news , thanks a lot for sharing this ! From time to time I get a break from the meaningless beauty product posts and make long boring informative post that nobody has any interest in it :))))I am really happy if you think it was a useful post. I need to start giving myself mini massages because there is so much tension and knots in my body and face! I know how you feel, this is why I decided to write about it.I realized that it also helps to sleep better. I do facial massage when I use my products (mostly Korean), but I didn't know about the tapping motion. I will be trying that! I was reading somewhere about Japanese facial massage and they have a different technique for each type of skin. If your skin is really thin and sensitive you should go for delicate tapping but if your skin is rather thick with larger pores you can even go for slapping. I never tried myself the slapping one :))) but love the tapping,especially around my eyes. How interesting, I've never really given any thought to facial massage but this makes me want to go and try it out. I am addicted to it.Once you try it you will love it. Very interesting article. I have never had a facial massage but I did have a chiropractor "playing" with my neck muscles and the release feeling afterwards it's amazing. I would go there every week just to stop feeling my neck muscles tight. Oh that neck pain.I also have it....3 hours at my laptop and then is there.I usually put a special sachete with warm salts on the tension point and it helps. Oh wow this is very informative, like above I thought it was just going to be another facial cream, but this has actual information and techniques. Fantastic! I am really happy that it was a useful post. Very informative post. I used to let my aunt do facial massage for me. It's really relaxing and the massaging helps on face blood circulations. I am really happy that it was a useful post. Yes indeed is really good with blood circulations. What an interesting read!! I am a firm believer in the power of massage! Very informative post, I love getting facials but since my son came along they are a rare treat! May just have to treat myself more often now! At first glance I thought it is a beauty related post, but when I saw lymph nodes and blood vessels being covered, my mind just altered. This is indeed a very informative article since most people take massage for relaxation and ignore the points regarding the working scheme and when to avoid it. Thanks for sharing this! Thank you,I will try to write more posts like this. 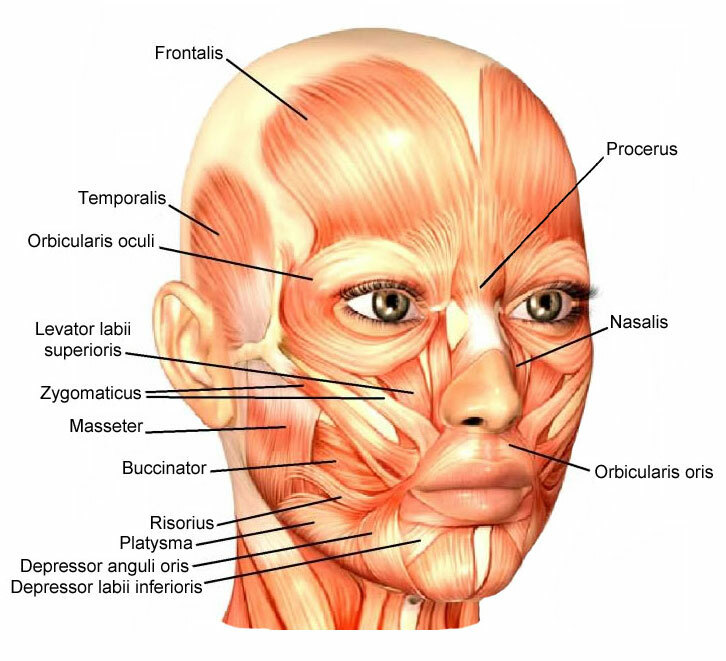 Thanks for sharing about "All About Facial Massage", this topic is very useful for everyone, I really like all the detail about "All About Facial Massage”. Keep share with us. Unity Healing Arts Massage Therapy in Asheville, NC helps people feel better and heal holistically providing therapeutic benefits for Mind,Body and Soul! This is very nice blog post. Thanks for this best sharing………. Very informative, thanks for sharing such a words. Am so much worried about which facial choosing for me. Once i visited Rupinis in Tampanies and i have choose Lavender facial. I love very much. my skin glows after that. They were treated me very carefully.